Countless studies show the ill effect of stress the mind, body, and split. We all need a few minutes a day to disconnect, settle into ourselves, and rest in silence. ......brief practice have the immediate effect of creating a calmer more present mind. I always enjoy teaching and practicing strong vinyasa flow, the most commercial western style yoga that is very physical, breathe and move, moving meditation. And I have found beauty and joy of "Do Nothing", Restorative Yoga, the Yoga that grabbed my soul, start finding comfort of stillness and beauty in silence, experience true deep relaxation. Relaxing your mind is much simpler than everybody thinks, just place your physical body in comfortable position/pose, relaxed body will lead you to relax your mind, open up your body to open up you mind. Antidote to storess, quiet brain, and calm mind. Class size is limit to 10 students, preregistrations isn't required but I can reserve your spot by email, contact me to reserve your spot. Private sessions are normally schedule Monday afternoon before regular scheduled class, or Tuesday 3pm after Afternoon Yoga class, weekend sessions are possible with additional $10 per person. 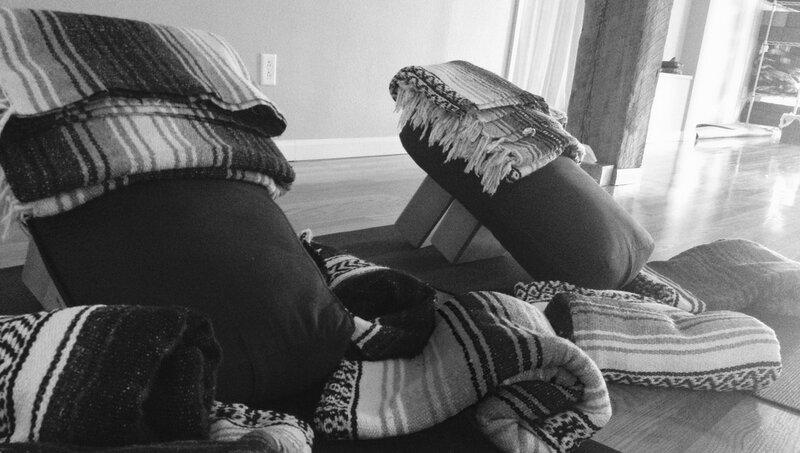 Here is a simple Restorative Yoga practice option at home. You only need 2 blankets to practice this one. 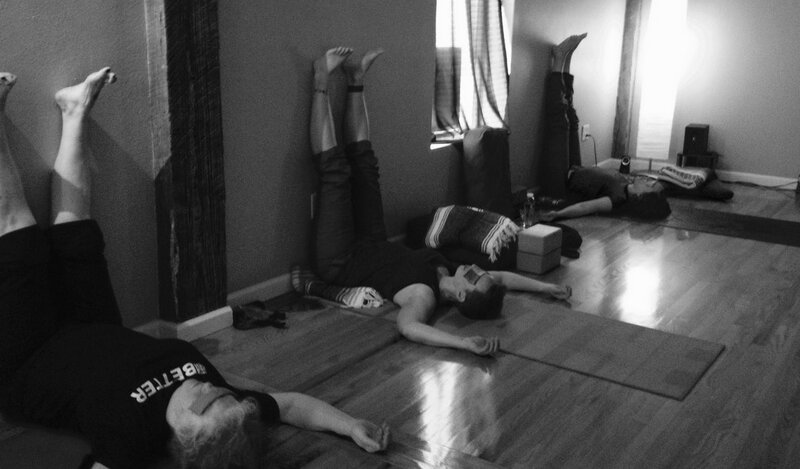 Try and notice how you will, and join us at actual Restorative Yoga class at State Street Yoga Co-op for full practice. I came up the idea and made these hand pillows, used for practicing yoga, and it worked well with me. Therefore I love to share this my original cute Yoga props(hand pillows) with all yogi, and it is only available at YOGA with YUKO. Use for any Restorative Yoga pose, and long period of Shavasana(final relaxation), the pillows take you into deeper into poses, gives you more comfort, better yoga practice experience.